The amount of 5 USD has been withdrawn from your account. Accounts: U4222871->U10423185. Memo: Shopping Cart Payment. 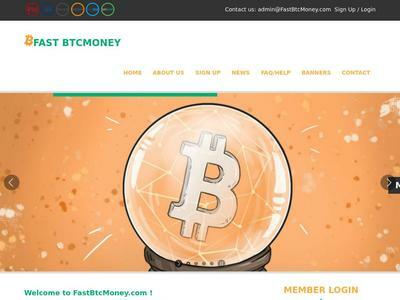 Deposit to fastbtcmoney.com User nelomota.. Date: 08:25 27.05.18. Batch: 215908209. The amount of 50 USD has been withdrawn from your account. Accounts: U*->U10423185. Memo: Shopping Cart Payment. Deposit to fastbtcmoney.com User List4Hyipcom.. Date: 15:15 27.05.18. Batch: 215937755. 05.27.18 09:19	Account	Transfer	-25.00	Sent Payment: 25.00 USD to account U10423185 from U11812649. Batch: 215911387. Memo: Shopping Cart Payment. Deposit to fastbtcmoney.com User Pino. Memo: API Payment. Withdraw to List4Hyipcom from fastbtcmoney.com. Memo: API Payment. Withdraw to Allhyipcapture from fastbtcmoney.com.. The amount of 25 USD has been withdrawn from your account. Accounts: U1355114->U10423185. Memo: Shopping Cart Payment. Deposit to fastbtcmoney.com User ihyips.. Date: 07:20 27.05.18. Batch: 215904474. The amount of 15.66 USD has been deposited to your account. Accounts: U12077479->U1355114. Memo: API Payment. Withdraw to ihyips from fastbtcmoney.com.. Date: 17:38 29.05.18. Batch: 216147269. The amount of 0.69 USD has been deposited to your account. Accounts: U12077479->U5430333. Memo: API Payment. Withdraw to HotHyipsMonitor from fastbtcmoney.com.. Date: 03:43 29.05.18. Batch: 216076784.